THESE MOSS RUNNERS ARE NOT PREPURCHASED OR USED. WE ARE THE MAKERS OF THESE MOSS RUNNERS AND ALL OUR MOSS PRODUCT LINE.. ALL RUNNERS ARE MADE TO ORDER. WE HAVE SOLD FOR MANY YEARS ON WELL KNOWN SITES AS EBAY,ETSY,BONANZA,ECRATER. FEEL FREE TO LOOK US UP BY NAME. 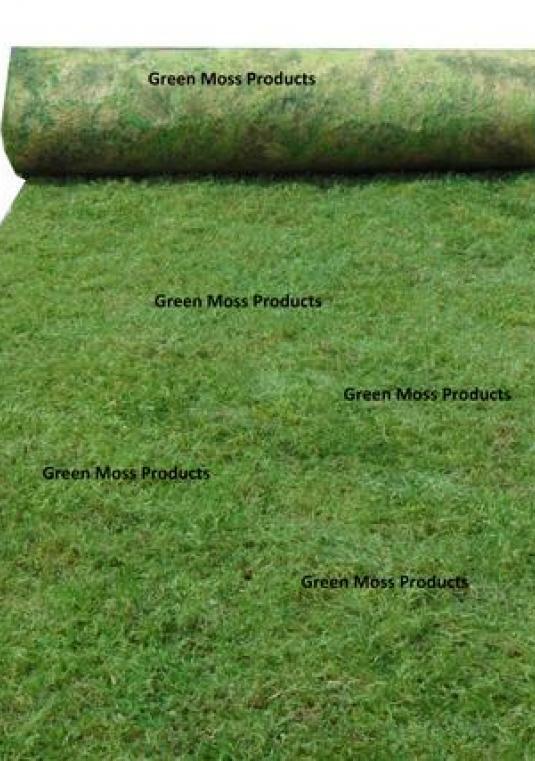 GREEN MOSS PRODUCTS FOR CUSTOMER REVIEWS. SECURE PAY FOR THIS SITE THROUGH PAYPAL OR ESCROW.COM. THIS SALE IS FOR A MOSS RUNNER 4FT WIDE x 10 FT LONG.OFTEN USED FOR EVERYTHING FROM,PARTY DECOR,TABLE RUNNERS,AISLE DECOR,AND MUCH MORE! !IT IS EASY TO CUT TO ANY SIZE OR SHAPE TO FIT YOUR SPECIFIC NEEDS.THESE MOSS RUNNERS CONSIST OF REAL TREE MOSS ADHERED TO A NYLON BACKING,AND ARE PRETREATED TO MAINTAIN COLOR.THIS PRODUCT IS ALSO KNOW BY NAMES /MOSS CLOTH/DISPLAY MOSS/ MOSS MAT.WE HAVE MORE SIZES TO CHOOSE FROM.THESE MOSS RUNNERS ARE MADE WITH SHEET MOSS PIECES, NOT MOSS MULCH. If ordering more then one one, contact us for a shipping quote to your zip code for combined shipping discounts. 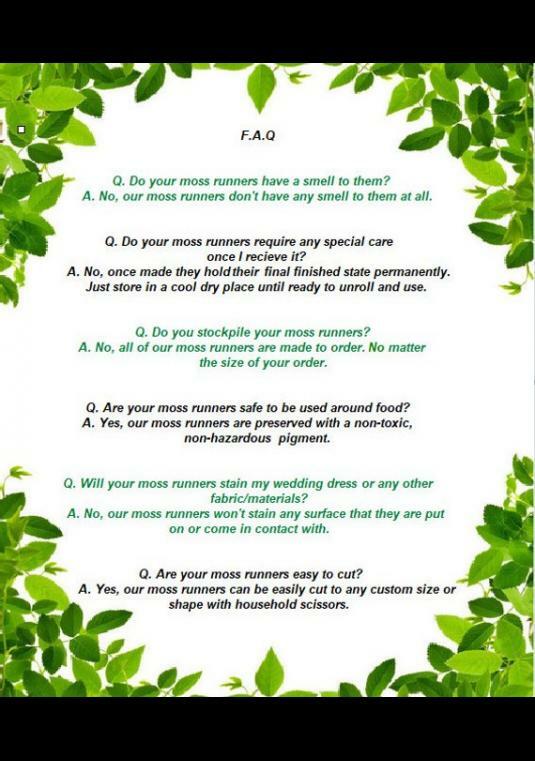 We can ship 2 Moss runners per package.